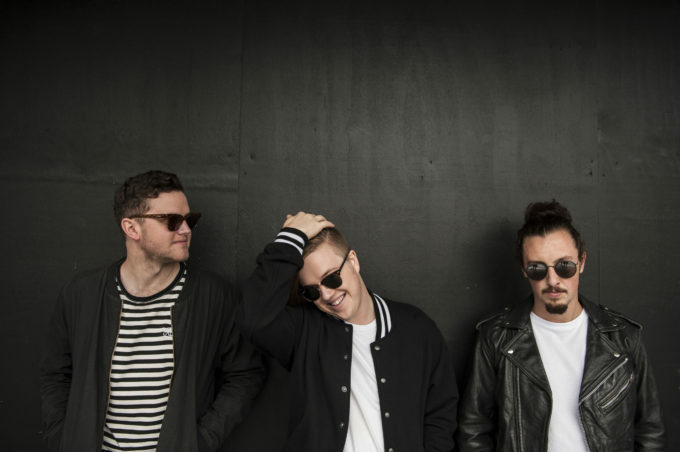 If Safia haven’t already got you wrapped around their little fingers with their latest single ‘Make Them Wheels Roll’, what with its soaring falsettos, marching bassline and sumptuous electronica, they’re certain to draw you in a little further with its official video, which dropped a couple of hours ago. We see a gentleman, leaky briefcase in hand, begging the waters that are enveloping him for help. But water’s not the only element in play here, with a woman twirling batons of fire making her presence felt just prior to the 90 second mark. This melding of elements is truly stunning. But the businessman’s frustrations and emotions get the better of him and he’s soon in way over his head. Could this be the end for him? It’s a spectacularly realised video, filled with breathtaking visual effects. Give it a watch.